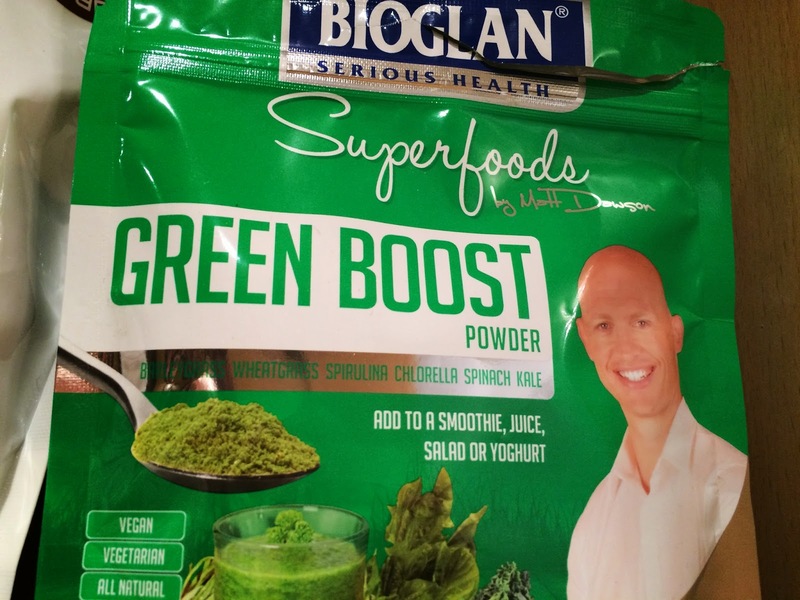 The Bioglan nutritional powders are essential products for me so I thought I'd do a review on one of my favourites- Green Boost! The powder contains barleygrass, wheatgrass, spirulina, chlorella, spinach and kale. All of these ingredients do amazing things for the body. For example, spirulina is a great source of protein, B vitamins, vitamin C and vitamin K. Spirulina also contains important minerals such as calcium, magnesium, iron and zinc. I stir this powder into my juice every single morning. I have also stirred some in when making homemade 'quest' style bars with nut butter and whey powder. I really feel like this gives me a boost during the day. Taste-wise, the powder tastes like spinach but the flavour of my juice masks it. I enjoy the flavour of this powder mixed with a green juice such as apple and kiwi. Oh P.S Love your blog and reviews... Could you put a button on your side bar so I can subscribe or follow you?